commented on "Today is the day! After five long years, our book Pasta, Prayer and Promise, the story of Nelson's Italian community 1860-2014, will ..."
Today is the day! 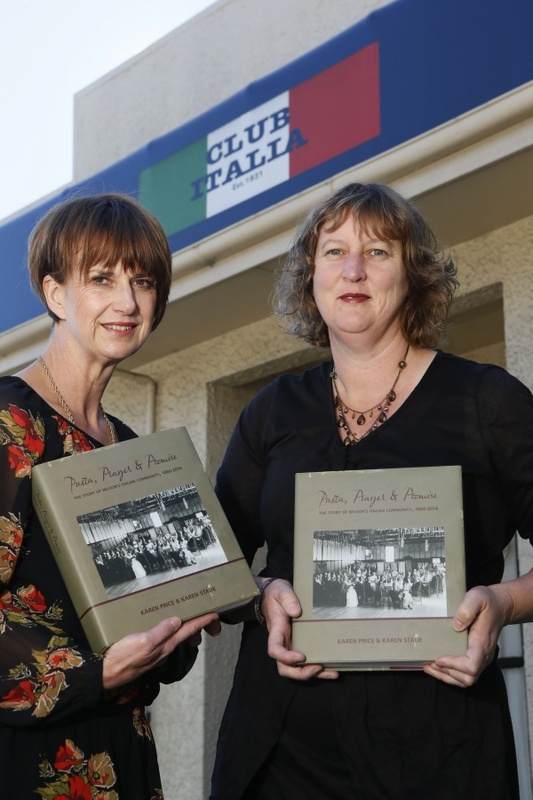 After five long years, our book Pasta, Prayer and Promise, the story of Nelson's Italian community 1860-2014, will finally be launched and available for sale. Looking forward to seeing around 140 of the community at Club Italia for the official launch tonight and then all our family, friends and others with an interest in all things Italian at the public launch on Tuesday evening. And to all our Wellington family, friends and Italians, see you at Club Garibaldi next Friday night for the third launch. Here's Karen P and I at the club for our photo shoot with Martin.